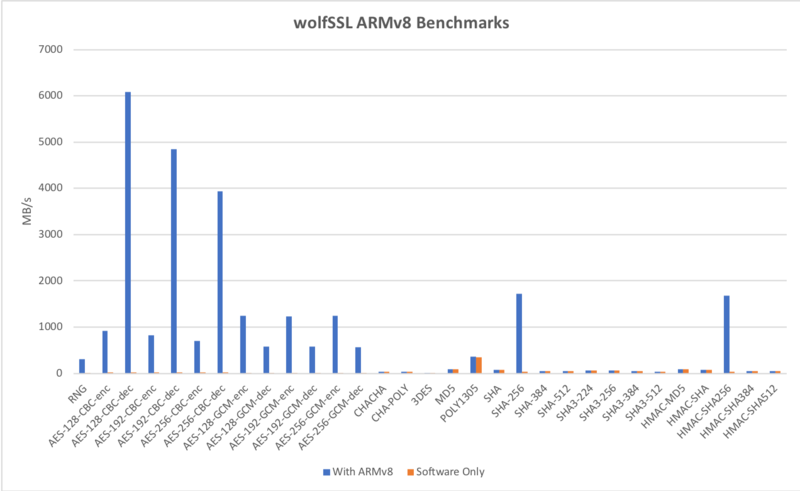 The wolfSSL embedded SSL/TLS library was written from the ground-up with portability, performance, and memory usage in mind. 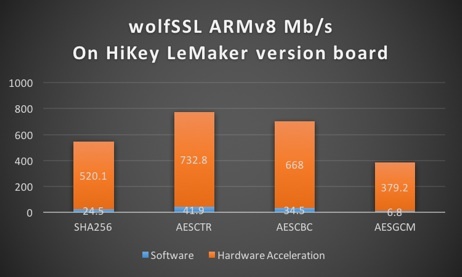 Here you will find a collection of existing benchmark information for wolfSSL and the wolfCrypt cryptography library as well as information on how to benchmark wolfSSL on your own platform. 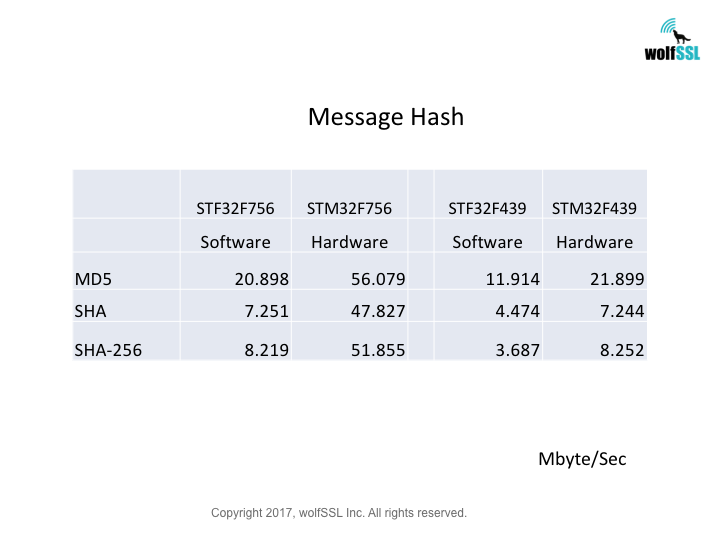 If you would like additional benchmark data or have any questions about your specific platform, please contact us at facts@wolfssl.com. 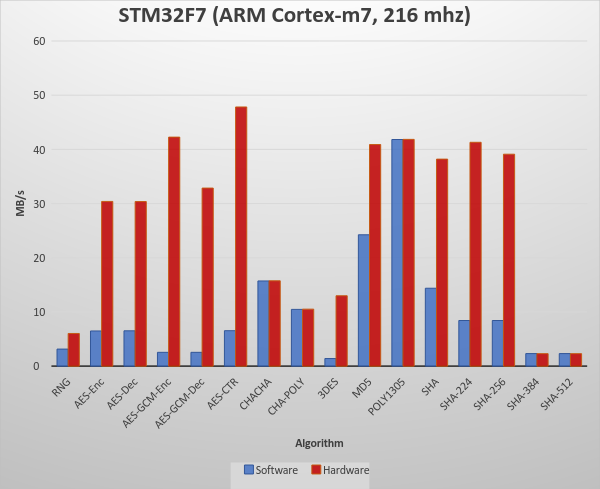 These benchmark values were collected with the fastmath library in use, on an esp32-wroom-32 with CPU speed:240MHz, ESP-IDF version v3.3-beta1-39-g6cb37ecc5(commit hash: 6cb37ecc5), and operating system Ubuntu 18.04.1 LTS (Bionic Beaver). 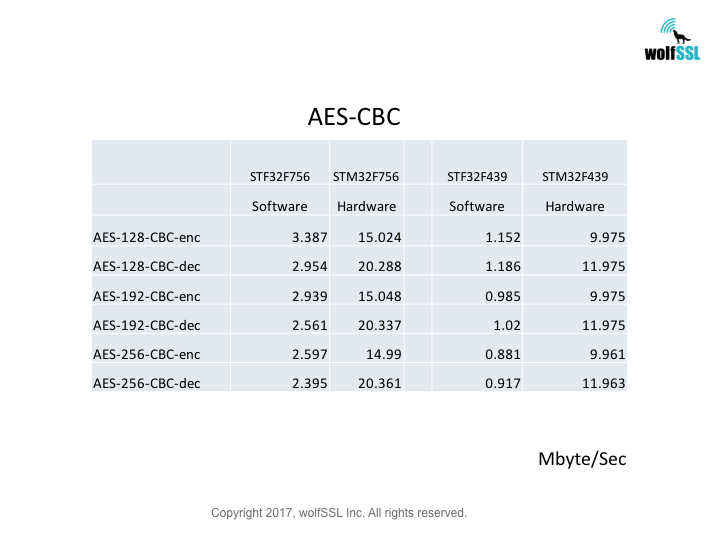 Recent releases of wolfSSL have included new assembly code targeted at the Intel x86_64 platform. 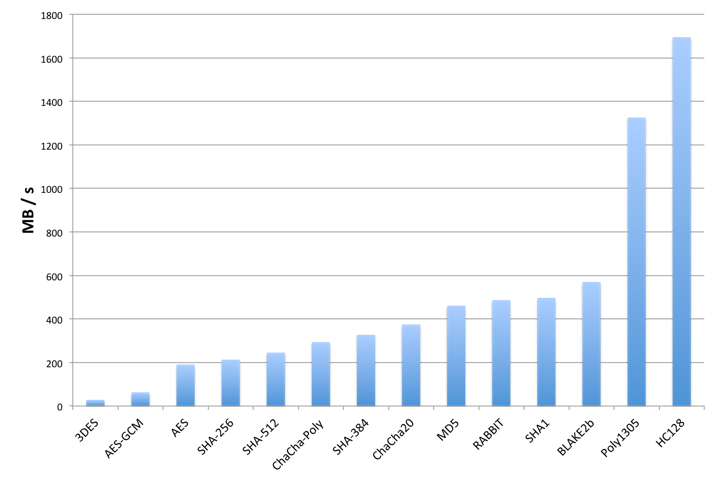 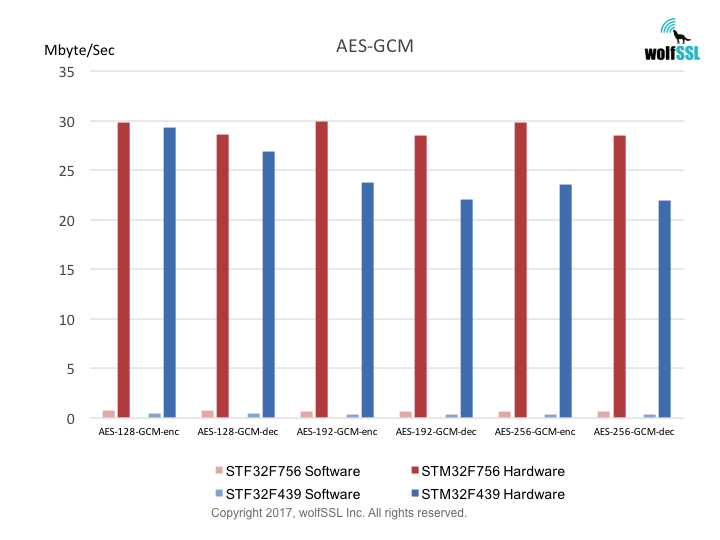 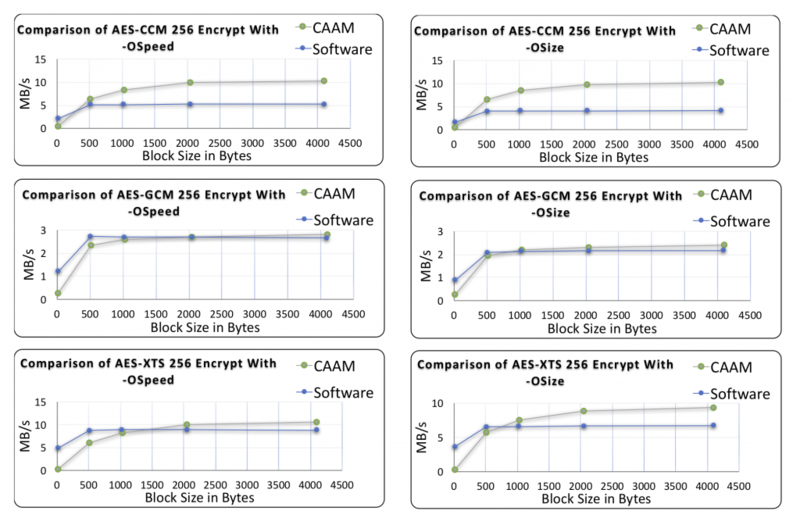 Large performance gains have been made, and the first two graphs pertain to performance increases with AES-GCM. 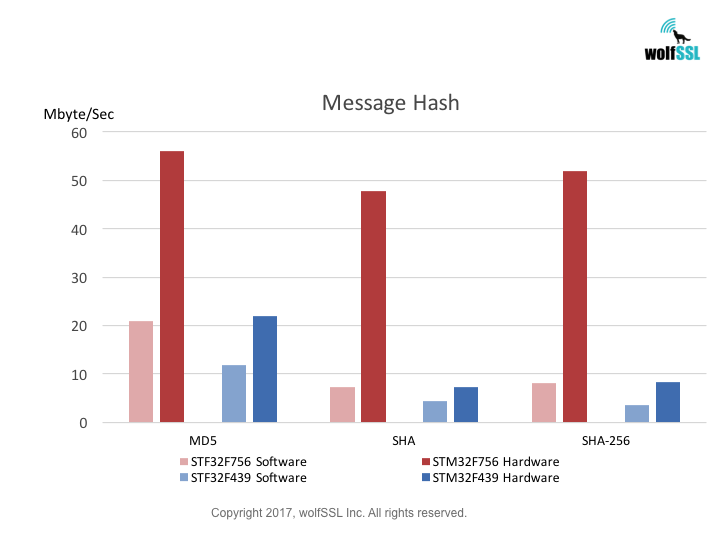 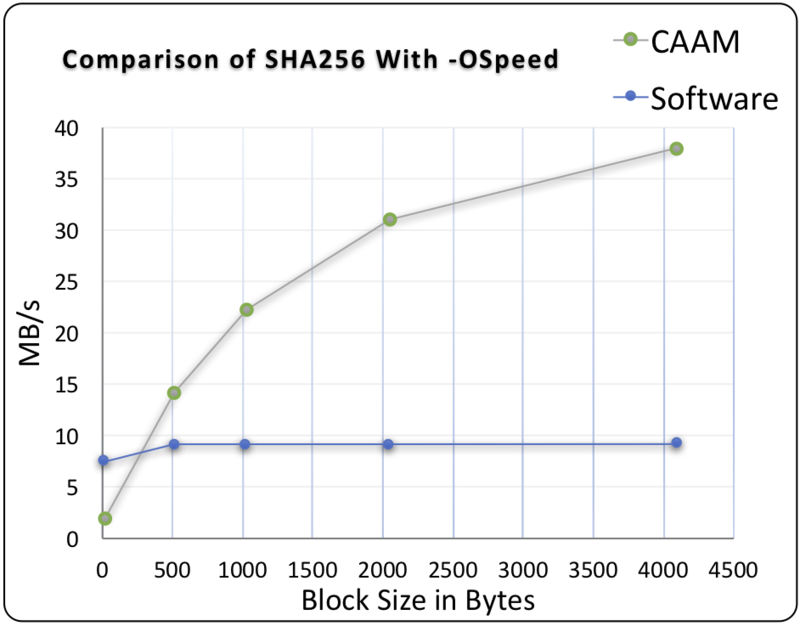 In the graphs for these benchmarks, the Y-axis signifies block size, while the X-axis signifies relative speed to the prior version of wolfSSL. 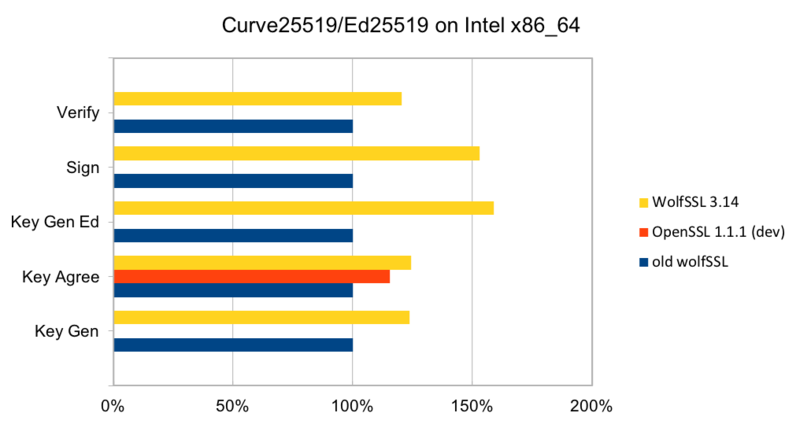 This benchmark data was collected for Green Hills INTEGRITY OS on an NXP i.MX6, running the wolfSSL benchmark application. 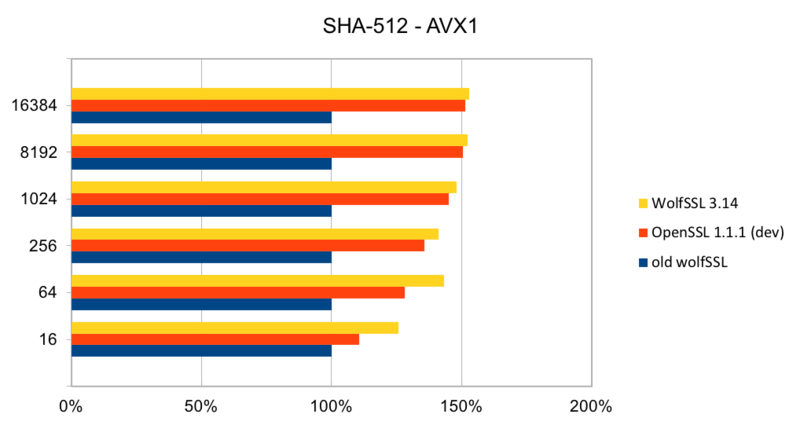 Benchmarks were collected using Apple's iPhone X, which has their new A11 processor. 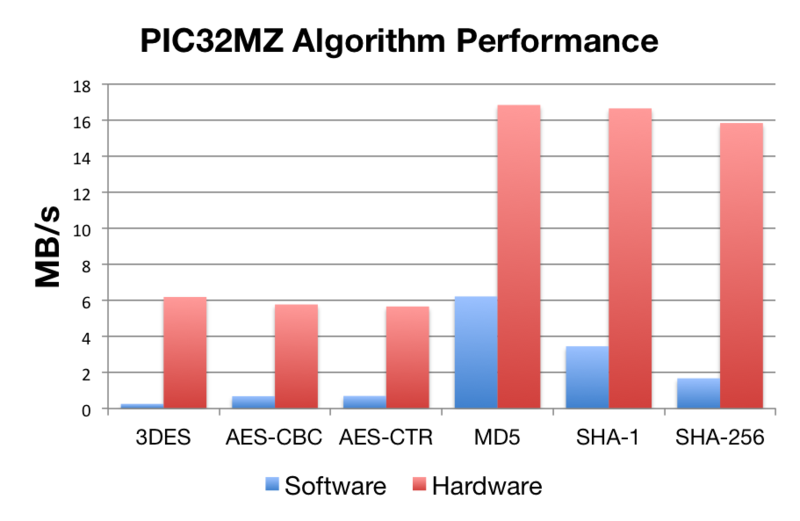 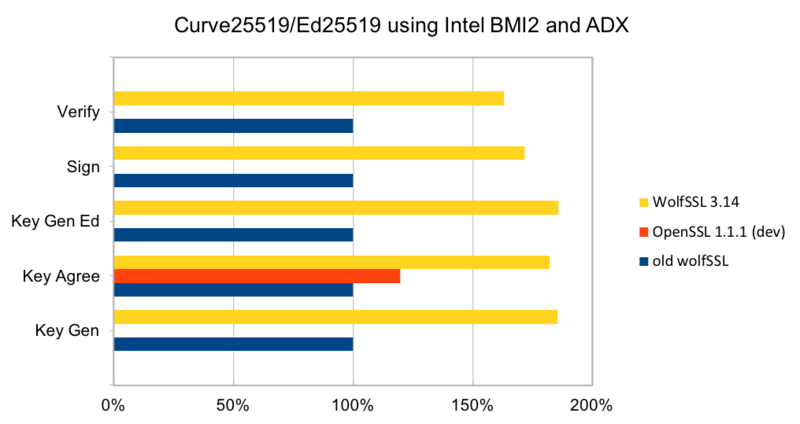 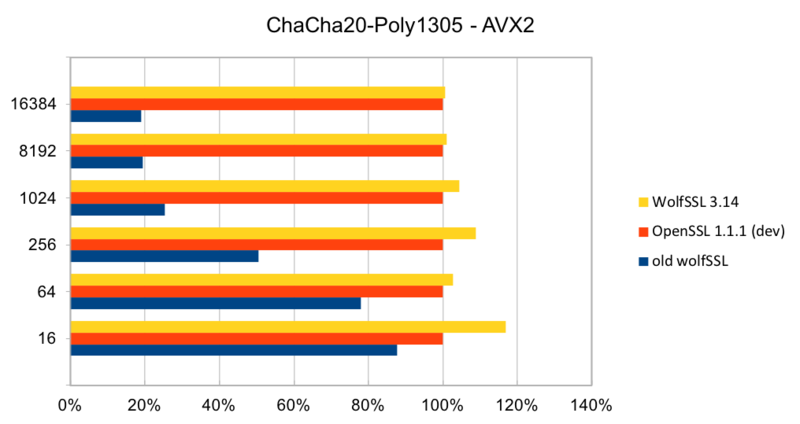 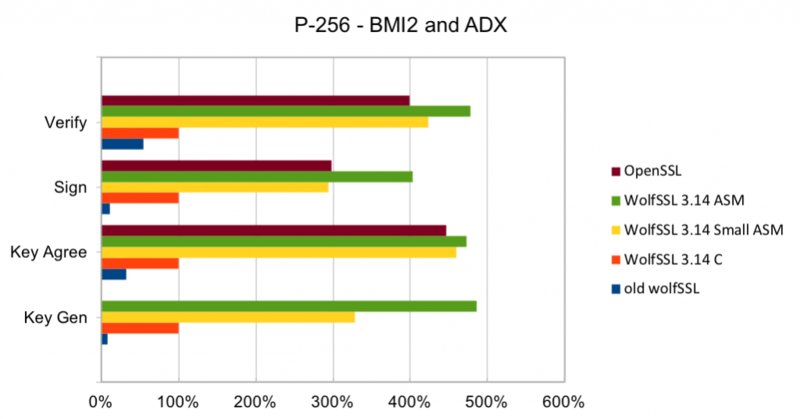 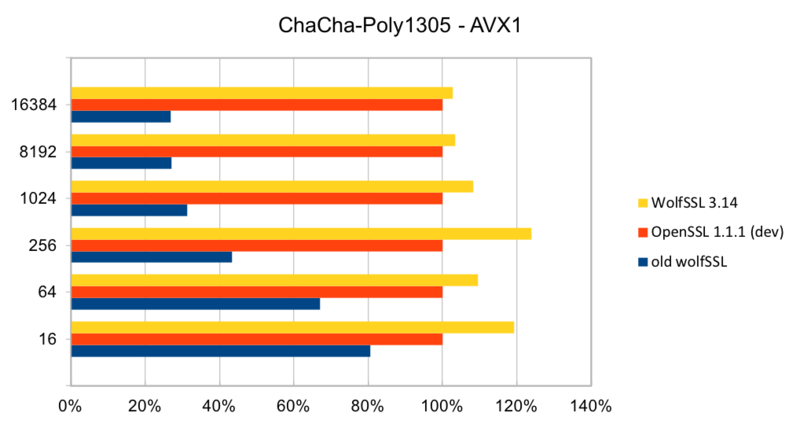 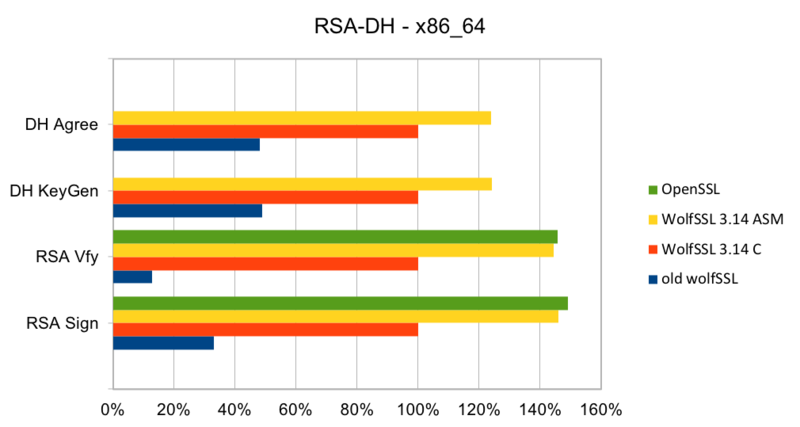 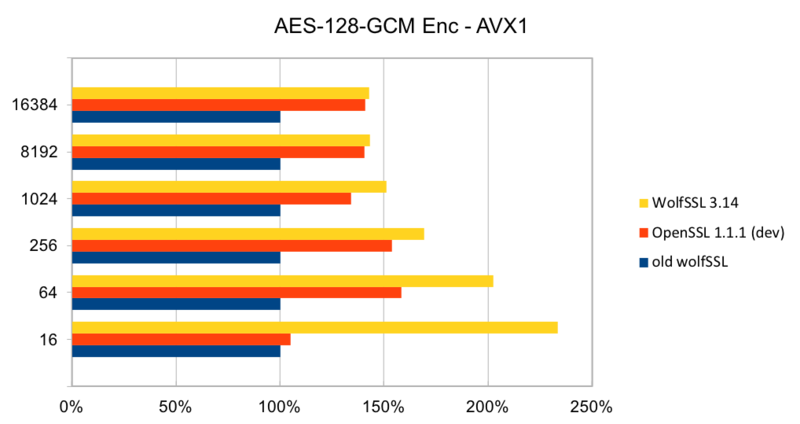 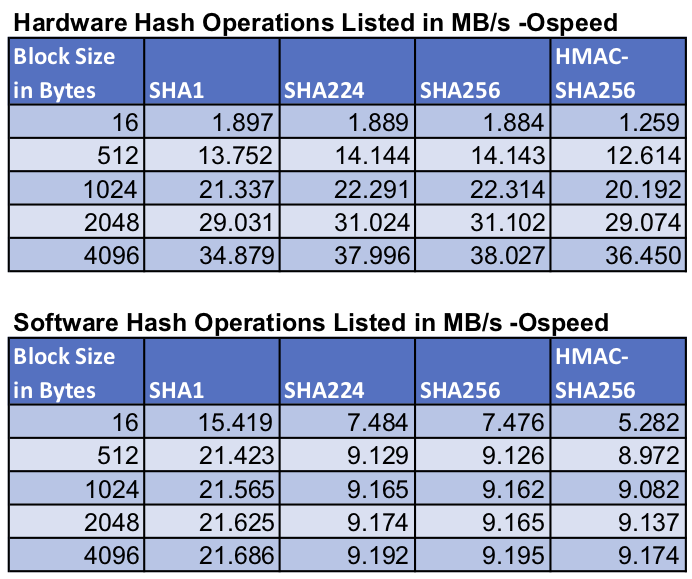 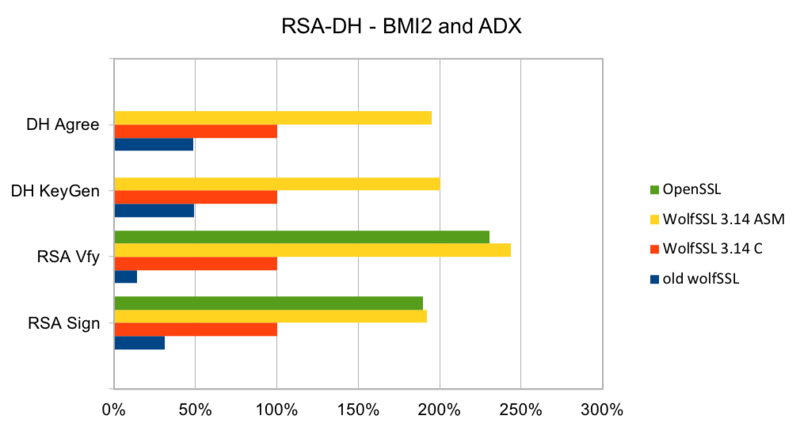 These benchmarks use ARMv8 crypto extensions and single precision math to demonstrate performance. 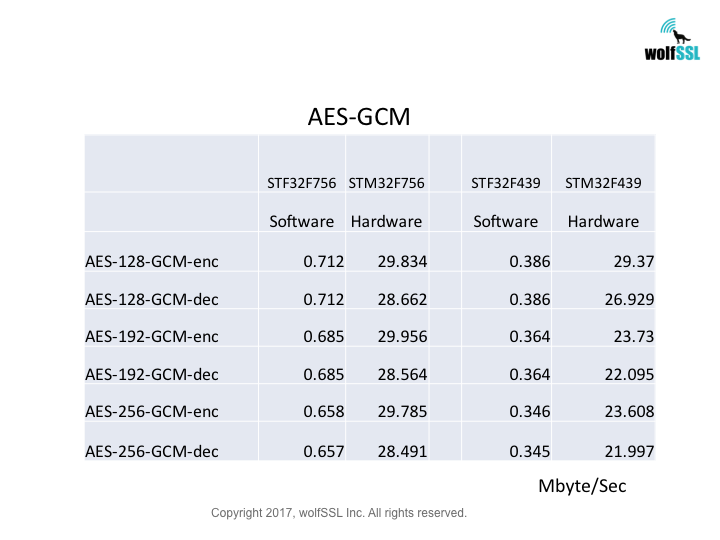 This feature is enabled using `./configure --enable-armasm` or the `WOLFSSL_ARMASM` define. 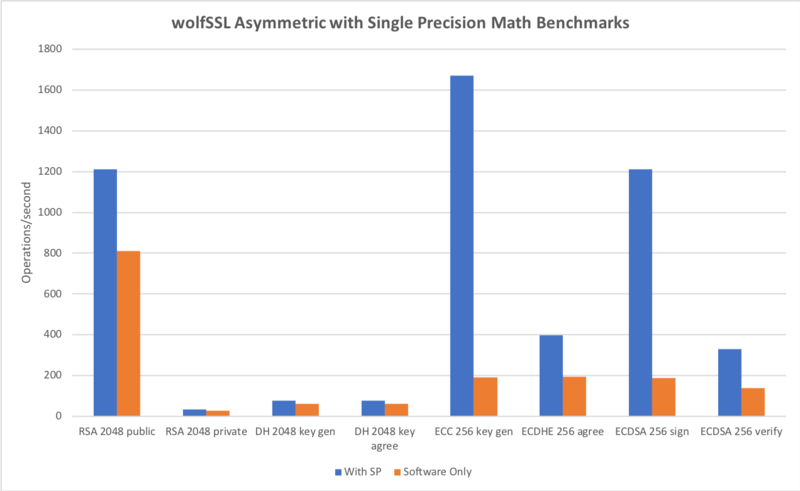 This feature is enabled using `./configure --enable-sp` or the `WOLFSSL_HAVE_SP_RSA`, `WOLFSSL_HAVE_SP_DH` and `WOLFSSL_HAVE_SP_ECC` defines. 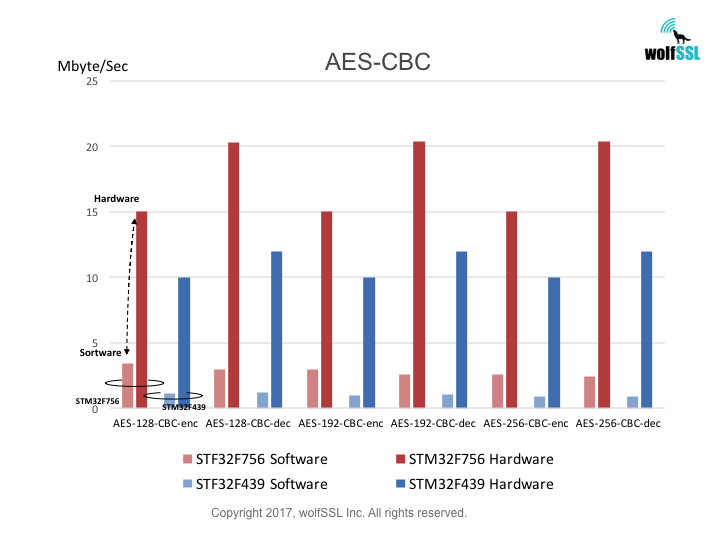 Benchmarks were collected using STMicroelectronics Evaluation Boards, using the wolfCrypt benchmark application and compiled with IAR EWARM (Optimization: High/Size).